Prof. Kikuchi graduated from Tokyo University of Science in 1992 (Ph.D.). He was then worked as post-doc at Univ. of Utah. He joined Prof. Teruo Okano’s lab. at Tokyo Women’s Medical Univ. in 1994 as assistant professor. He became associate professor in 2003. He moved to Tokyo Univ. of Science, Department of Materials Science and Technology in 2006 as the Associate Professor. In 2009, he became full professor. His major is polymeric biomaterials. 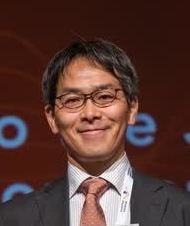 Dr. Kikuchi obtained the Award for Young Investigator of Japanese Society for Biomaterials in 2000, the 9th Teiichi Yamasaki Prize in the category of bioscience and biotechnology in 2009 with Profs. Teruo Okano and Masayuki Yamato. Dr. Kikuchi became the fellow, IUSBSE in 2016. He is active member of the Japanese Society for Biomaterials since 1992 and is now the board member of this society. Prof. Kikuchi’s major research interest is the polymeric biomaterials. He is currently working on the preparation of matrices for separation of bioactive molecules using stimuli-sensitive polymer grafting, and core-corona type micro- and nanoparticles for diagnosis and therapeutic uses.